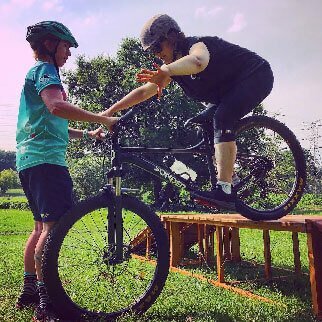 This course is for every lady who wishes to learn or refresh the CORE FUNDAMENTAL SKILLS of Mountain Biking, it doesn’t matter how long you’ve been riding for or what your previous experience is,newcomer or more advanced. 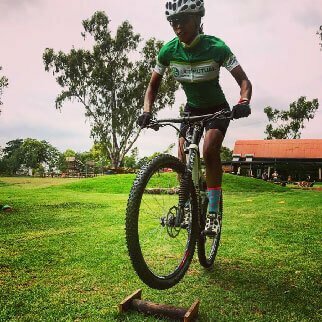 You will master the understanding and use of the fundamental movements on your MTB, giving you a solid foundation, building your confidence and making you comfortable on your bike. Please note Fundamentals does not mean ‘easy’ or ‘beginner’ but rather how you take your riding to the next level, no matter what level you are at now. These are the foundational skills needed to progress to more advanced skills. *This course is a prerequisite to Part 2 & 3. The skills clinic is implemented in an open flat area with cones and some obstacles. Why? 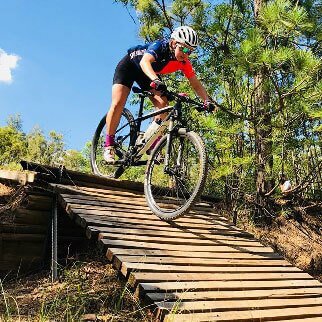 This allows for a safe and controlled environment and knowing how to control your bike on flat ground is essential as it allows you to get comfortable with handling your bike before hitting the trails. Please note that there is no pressure on our skills clinics and if you do not feel comfortable doing one of the skills you can watch and learn. Please feel free to ask as many questions as you want, no question is ever silly and we all learn from one another and share our experiences.